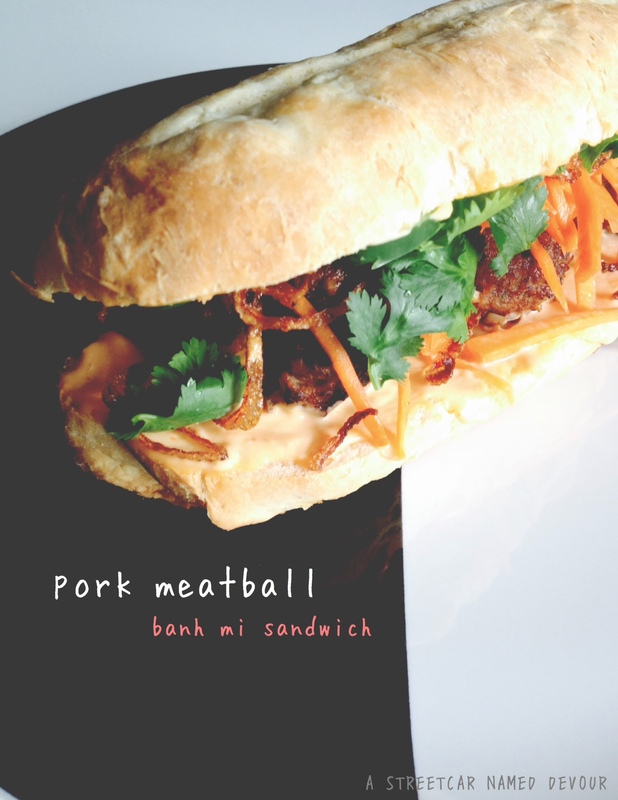 I first discovered Bánh mì sandwiches in Little Saigon–an area in the city of Westminster, California, where a large population of Vietnamese Americans live. The Asian Garden Mall, “Phước Lộc Thọ”, had several Vietnamese-owned restaurants, clothing, jewelry, electronic, and beauty shops. My family would go there often when I was a kid because my mom enjoyed shopping there, and the mall was only a 30-minute drive from where we lived. 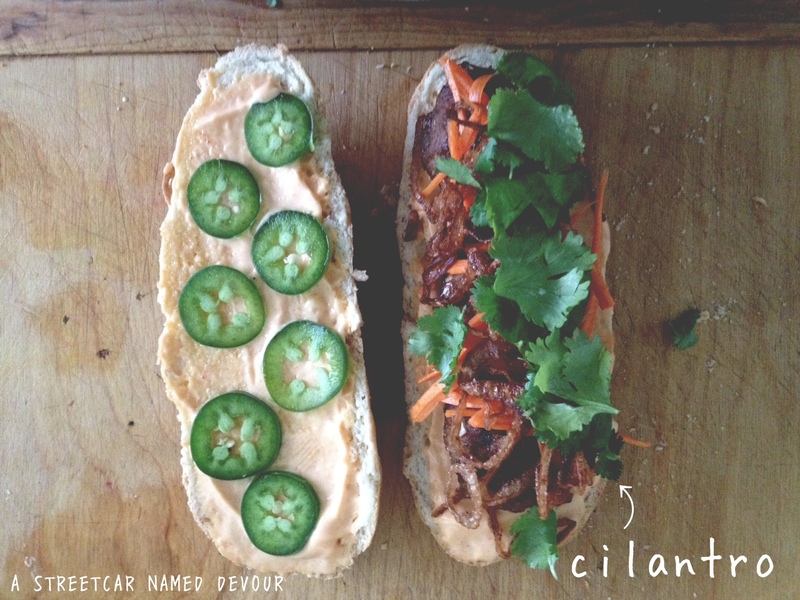 Bánh mì translates to “bread.” The French-style baguette was introduced to the cuisine during the French colonization in Indochina in the late-1850s early-1860s. 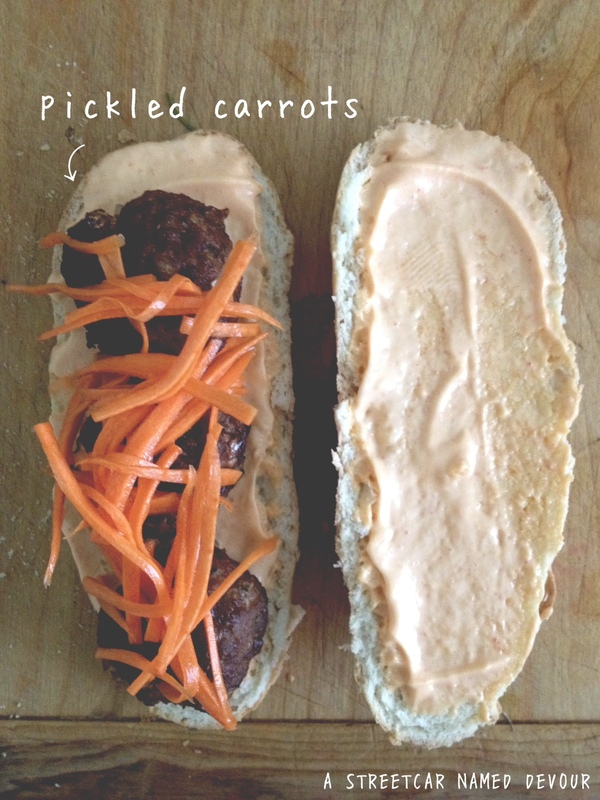 The sandwich is traditionally made with pork liver pâté (also from the French), cold cuts, pickled carrot and daikon, cilantro, and mayonnaise. For this recipe, I decided to go with a throwback recipe from Bon Appetit from 5 years ago. I loved the recipe then and I love it even more now. 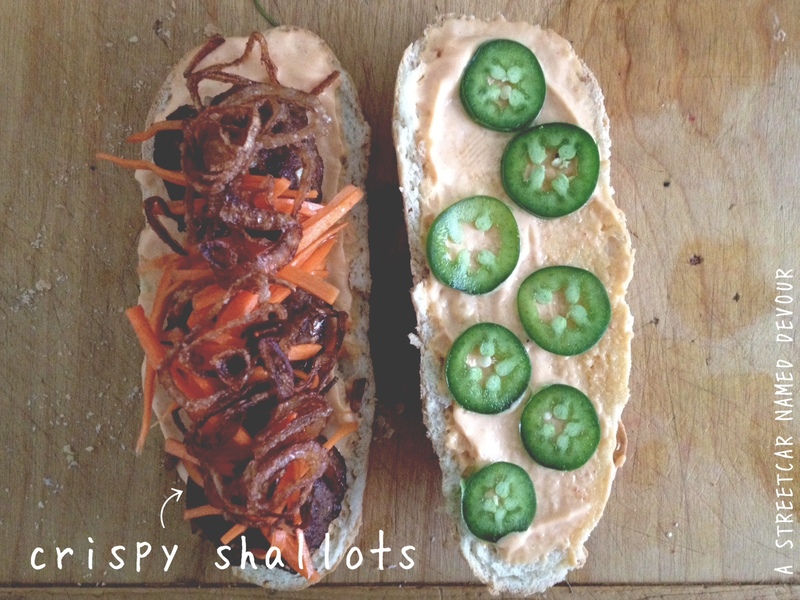 With a few tweaks and the addition of crispy shallots and a homemade French baguette recipe, this is definitely one of my favorite sandwiches. 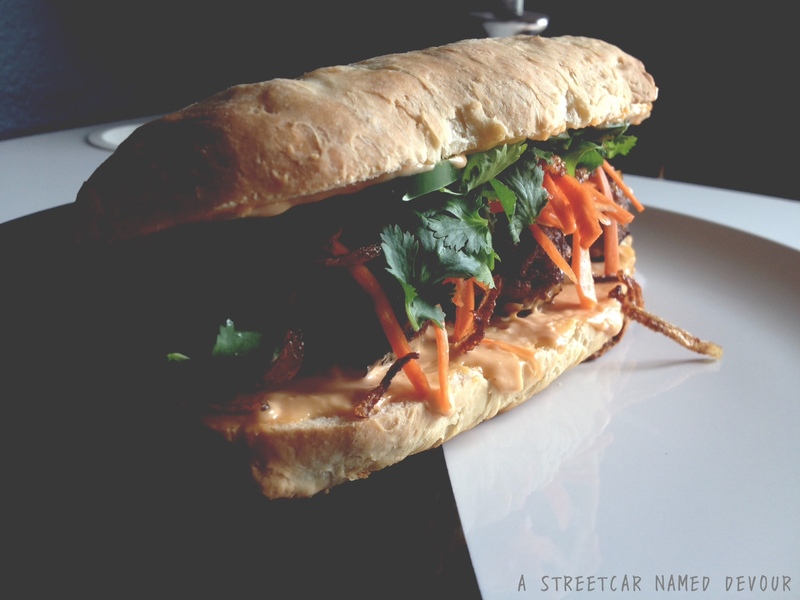 This sandwich is so good it makes my heart beat like Bidi Bidi Bánh Bánh. 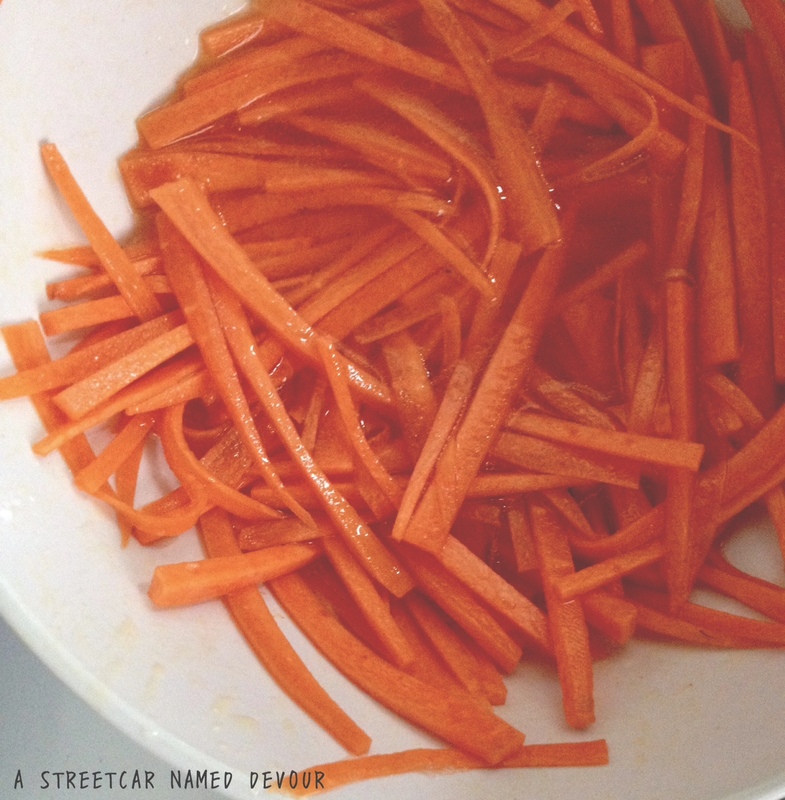 To make the Pickled Carrots, mix together the first 5 ingredients in medium bowl. Let stand at room temperature for about an hour, mixing occasionally. Preheat your oven to 300°F. Heat oil in a large skillet over medium-high heat. Add in half of the meatballs. Sauté until browned and cooked through, turning the meatballs to evenly sear all sides lowering heat if they begin to brown too quickly, about 15 minutes. Transfer the meatballs to another rimmed sheet tray. Place into the oven. 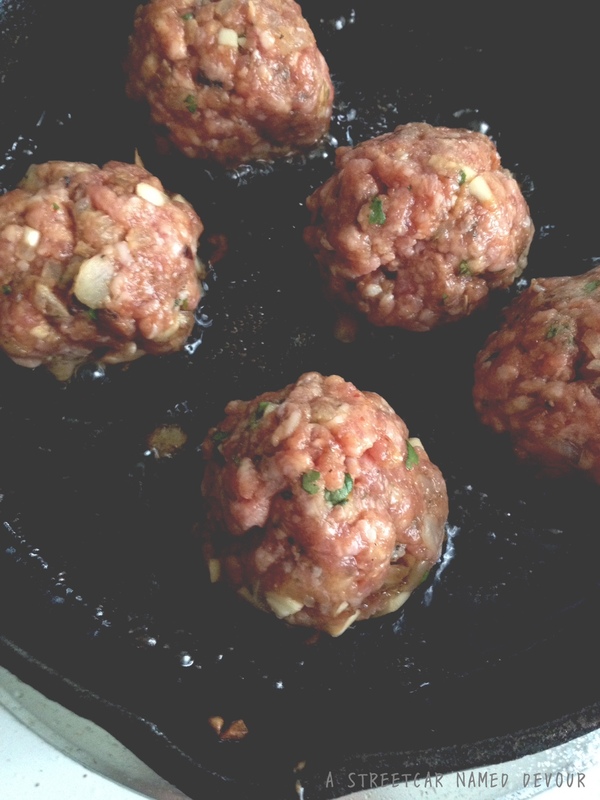 Repeat searing and baking with the remaining meatballs. In a small sauce pot, add 1/4 cup of oil. Place the sliced shallot rings into the pan. Turn on the heat to medium and wait for the oil to heat. 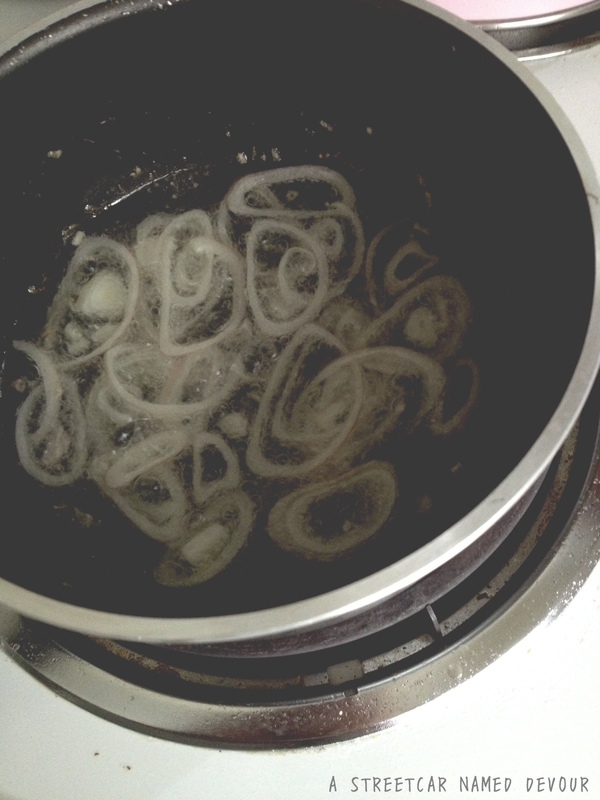 (Allowing the shallot rings to fry in cold oil makes it easier to control the heat and to avoid burning them.) Once the oil begins to heat up, toss the shallot rings until a light golden brown. Transfer rings to a paper towel-lined plate. Cut each baguette horizontally in half. 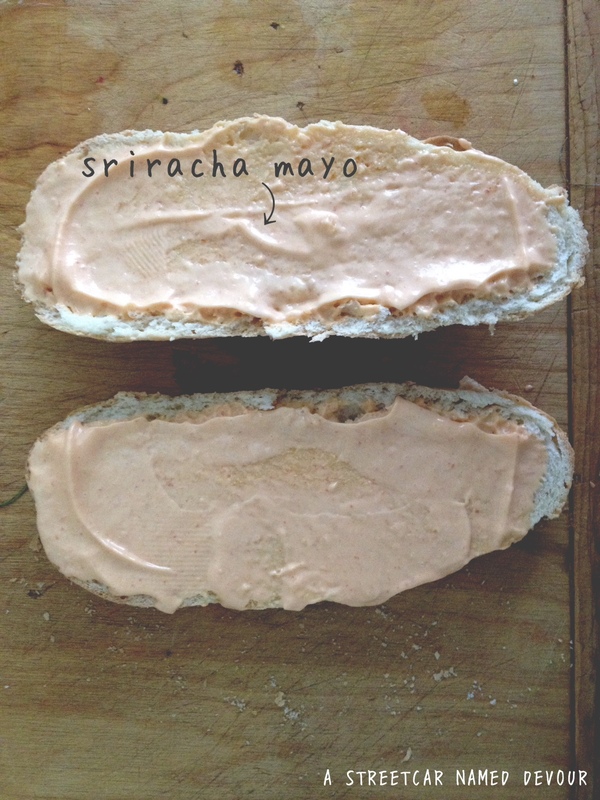 Spread spicy mayo over each bread halve. 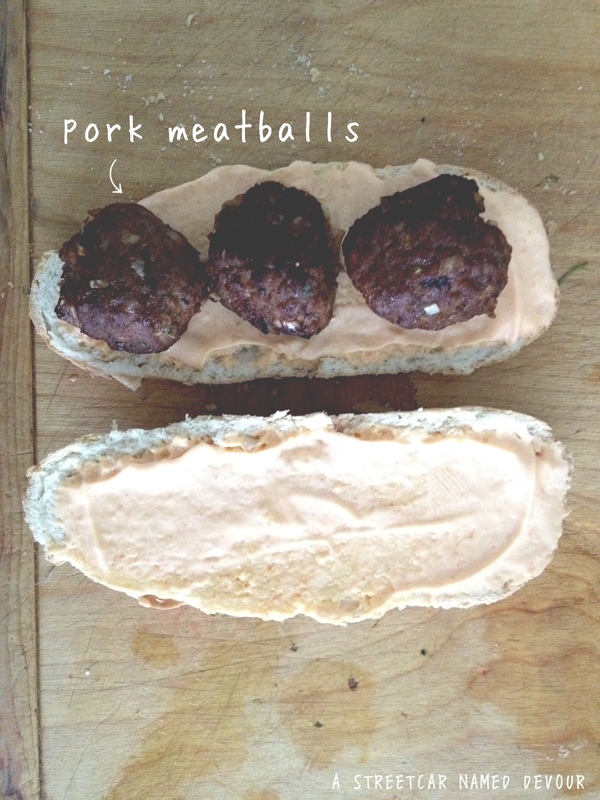 Place 3 each meatballs onto the bottom halve side per sandwich. 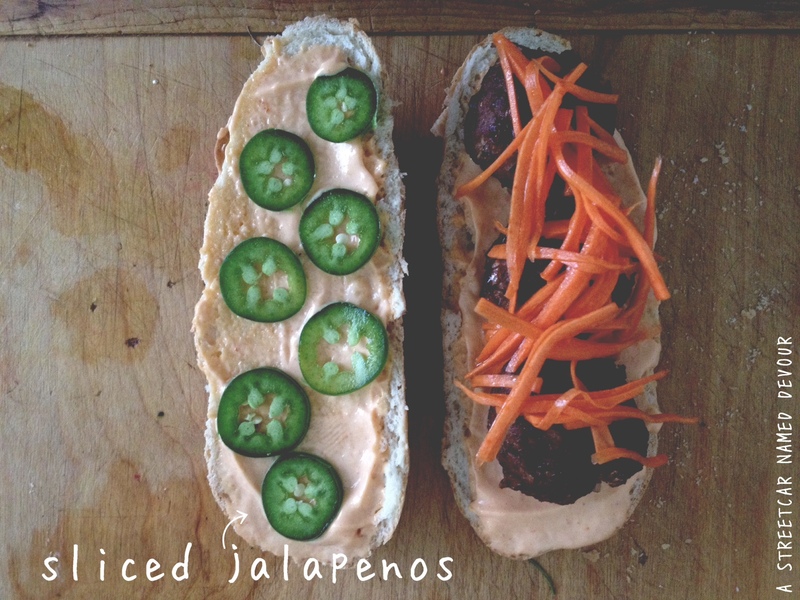 Arrange the jalapeños one one side, then adding the (drained) and pickled carrot, crispy shallots, and cilantro. Gently place the top on baguette tops. Repeat with all sandwiches.